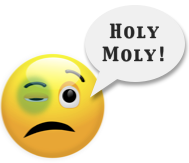 Nevada law requires all CDL drivers to have a valid DOT medical card, unless the type of commerce you drive qualifies as ‘Excepted’. If your DOT medical card expires, you will not be qualified to drive a CMV until your DOT medical certificate has been renewed and provided to the Nevada DMV. See details at Nevada DMV official website. Nevada application form for commercial driving privileges and self-certification. When submitting your new medical card, you are not required to recertify unless there is a change to your certification. Once you have self-certified, any changes to your certification must be done in person. Copy of your valid Medical Examiner’s Certificate MCSA-5876. (Medical card only, not the long form.) Ensure that all information is legible. Note: All incomplete applications will be rejected and may result in your driving privilege being cancelled. 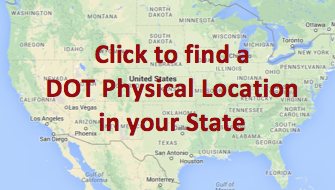 Note: Mailed or faxed forms will be rejected for intrastate. I hold a Class A license in the state of Nevada that expires in 2020. My medical card expired on August 10, 2017. I do not drive a commercial vehicle and don’t plan to, but also don’t want to surrender my commercial license in favor of a regular one. Just in case. My question is, do I need to carry a current medical card if I am not driving any commercial vehicles? I understand that if I do need to drive a commercial vehicle, I will need to obtain a new card and certify with the Nevada DMV. 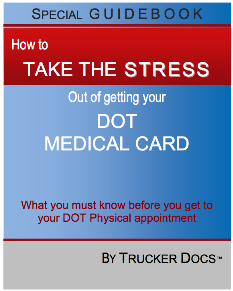 Yes, you need a current medical card on file with your CDL, or else your CDL will be downgraded. If you are not currently driving a CMV, and you want to maintain your CDL but are not in a position to certify for a medical certificate, or do not want to keep your medical certificate current, check with your SDLA. Your SDLA may allow you to self-certify in a category that does not require a medical certificate, if you state allows it.